We all know the perfect time of the year to get your lawn mown; whether you plan to order the services of an online lawn service or mow your lawn yourself, there are guidelines that must be followed to ensure your lawns are mowed properly. Wrong mowing practices might cause problems sooner or later for your lawn. Would you love your lawn to maintain that lush and healthy look? There are certain mistakes you may have to avoid totally to be on the safe side. Spring and fall offer the best times of the year to mow your lawn so it’s always best to do your mowing right during these two seasons. 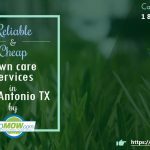 However getting the services of a professional lawn maintenance company in Dallas might be your best option if you don’t want the hassle involved in lawn care. 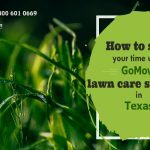 There is a reason why some lawns look far finer than others and who knows it could either be from your handling or that of your lawn care service provider. Of course, you wouldn’t know what you are doing wrong until you carry out a research or analysis. 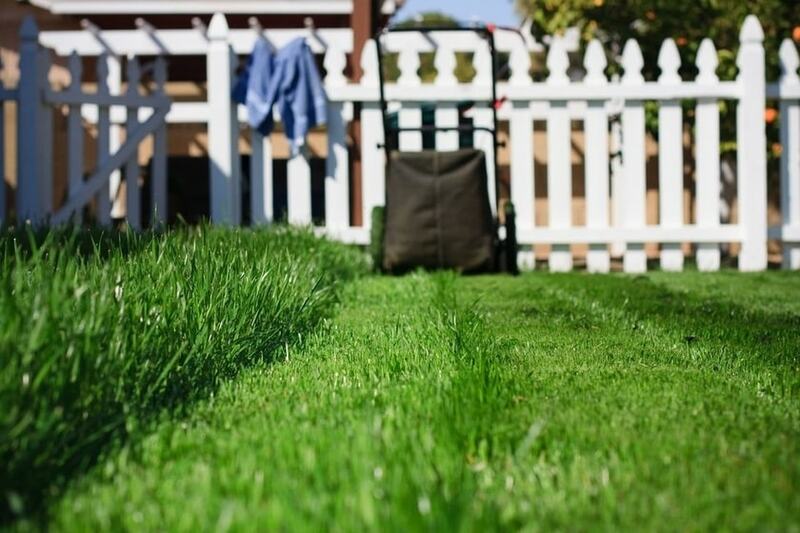 Let’s have a look at 5 lawn mowing mistakes you might be making and how you might avoid them. A fine new-looking lawn mower with dull blades is as good as an old, faulty one. A sharp mowing blade cuts the grass easily and doesn’t stress the grass like a dull blade which requires more time, effort and causes stress on the grass. More effort and time will have to be employed to use a dull blade effectively. Your mowing will be easier if your blades are sharpened at least once every year. A sharp blade gives the grass a clean, clipped, orderly look while a dull blade will probably rip and tear the lawn up. Who loves that? The best time to mow your lawn is when it is dry but many people prefer mowing in the morning when the sun isn’t up yet to reduce the chances of getting sun burnt while mowing. It is perfectly understandable but not the best time for your lawn. Grasses are usually damp in the morning from dew given the low temperature at that time of the day. Mowing during this period results in poorly-cut grasses because they are wet and cling to the blades reducing their effectiveness. Wet grasses form lumps easily and clogs up the space for grasses below who need air and space to grow optimally. After each lawn mowing session, the best thing to do for your lawn mower is to clean it up before putting it away. A dirty mower loses efficiency easily; remember it’s a machine and as a machine it needs maintenance. Each mowing activity leaves your lawn mower littered and stained with cut grasses parts, damp soil, manure and other elements which may not be favorable. Dampness will cause rusts on the metal parts of the lawn mower which will affect its action. Following the cleaning procedure in the user manual will certainly help. Ensure the lawn mower isn’t plugged in before commencing cleaning to avoid injuries or any form of damage. It looks good giving your lawn a clean-looking, low-clipped, even cut for perfect-looking mowing, yes, but not entirely healthy for your grass. Low-cutting means the grasses would have less foliage and more exposure to the elements. Your lawn would be at risk of drying out, colonizing weeds like and easy infection by diseases. The rule of the thumb is to cut only one-third of the length of the grass which is sufficient enough to have your lawn still looking well-maintained without being too low. Unfortunately, many folks only cut their lawn and little else. No proper and regular watering, no fertilizer treatment, no soil analysis or root care to check out for disease infection. Lawn care involves more than just cutting the grasses with a lawn mower. Regular watering is important especially when the weather has been dry for some time. If this is the case, try watering your lawn regularly a few days before mowing. This will reduce fast drying out when they are cut as they would have soaked up some water before facing the exposure that comes from cutting. Proper lawn care might include carrying out soil analysis and grass and root checks occasionally to ensure all is well with your lawn. Checking for irregular growth patterns and other unusual developments has been known to be effective. These actions are preemptive and will save you the trouble of bigger complications that may result from neglect and improper lawn mowing practices. 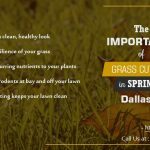 When you need the best lawn care in Dallas, we can easily come to your assistance to make sure you make none of these mistakes.